Questions? Call us at 800 1301 448 (Singapore), 800 967 655 (Hong Kong) or +65 6302 5700 (Intl). 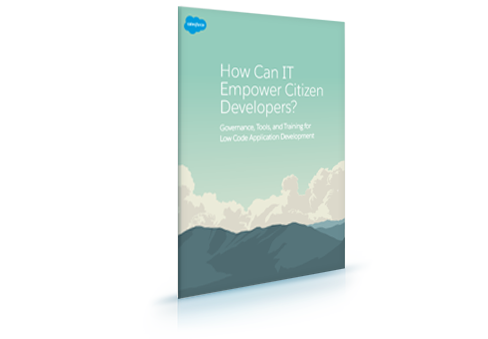 The rise of the citizen developer offers both opportunity and challenges for IT. The advantages of low-code development tools are huge but what is the role of IT in overseeing this fast-moving revolution? This new white paper looks at why IT should embrace the citizen developer and provides three approaches for oversight and governance. See 90 practical examples of mobile apps to drive business results.